10 books to read before you die? lol isn’t this a catchy title, I just hope I can read more than 10 books before I die, got it? 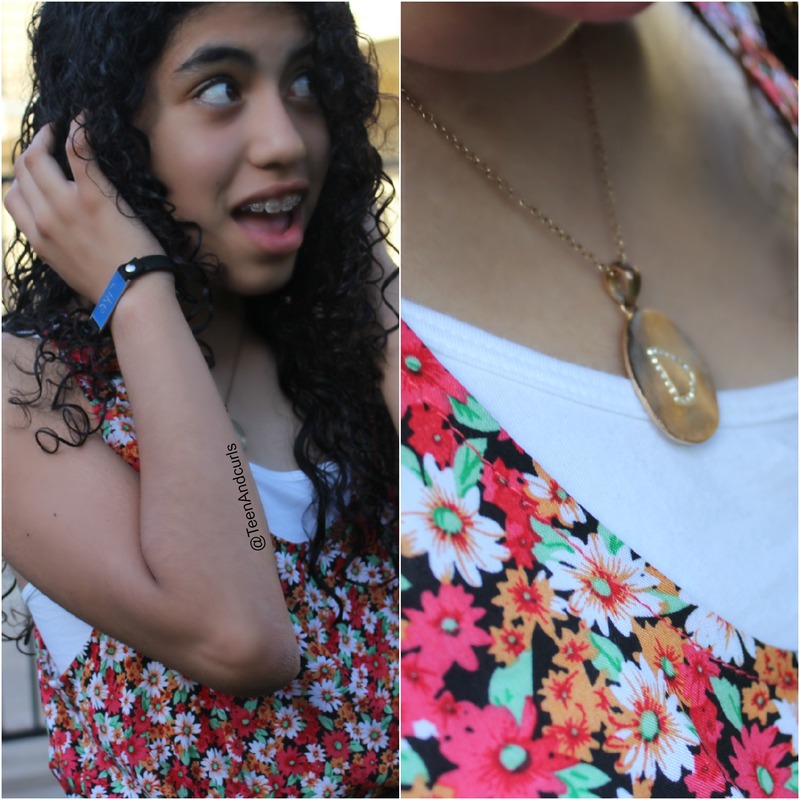 Summer is finally here, and it seems like we waited for everrrr, but yes, it is finally here. And here is my contribution to your brain, you can thank me later, or not. Maybe you won’t have time to read these 10 books, but I think you can read at least one of them or all 11. The fault in our stars- HOLY MOTHER OF JESUS, this book and movie are the best thing that’s happened in my life… I cried so much in both, I didn’t even know that I could. The perks of being a Wallflower- great book overall, I WANT and NEED to watch the movie!!! 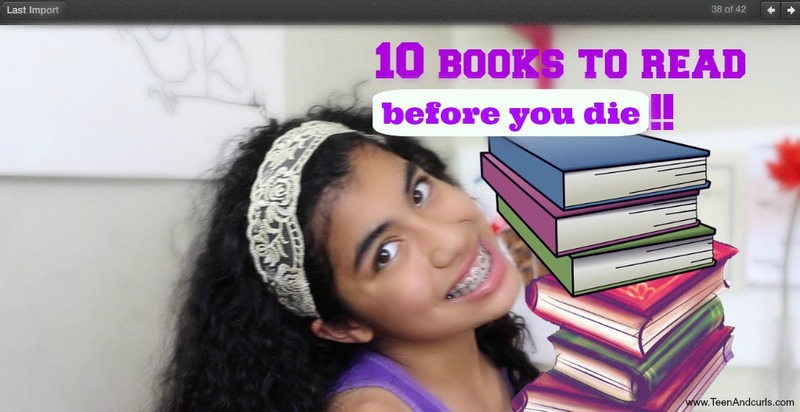 Now, just watch the video to learn more about these books and GO READ THESE BEFORE YOU DIEEE!! Hey guys!! 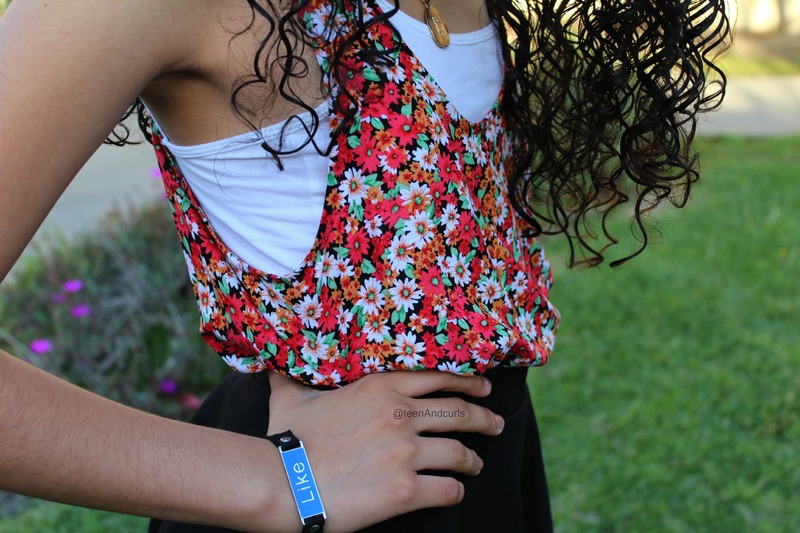 Again, welcome to Teenandcurls… lol, well today’s post is about some sweet, pretty, and fashionable spring outfits that will make you spring ready this season. make sure to add some color to your outfits; we’ve now passed winter with the “gloomy colors”, spring is a lot about color, so bring those colors out!!! spring is the season where all of the beautiful flowers bloom, the ladybugs/butterflies/bees come out and enjoy the weather, and as for us, we enjoy the change in weather as well as beautiful days coming along with it, so add some flowers to your shirts, etc. etc. just because it’s gotten sunny and the weather gets a bit warmer, doesn’t mean that it won’t get chilly; bring out those jean jackets along iwht your outfits! Hey guys! 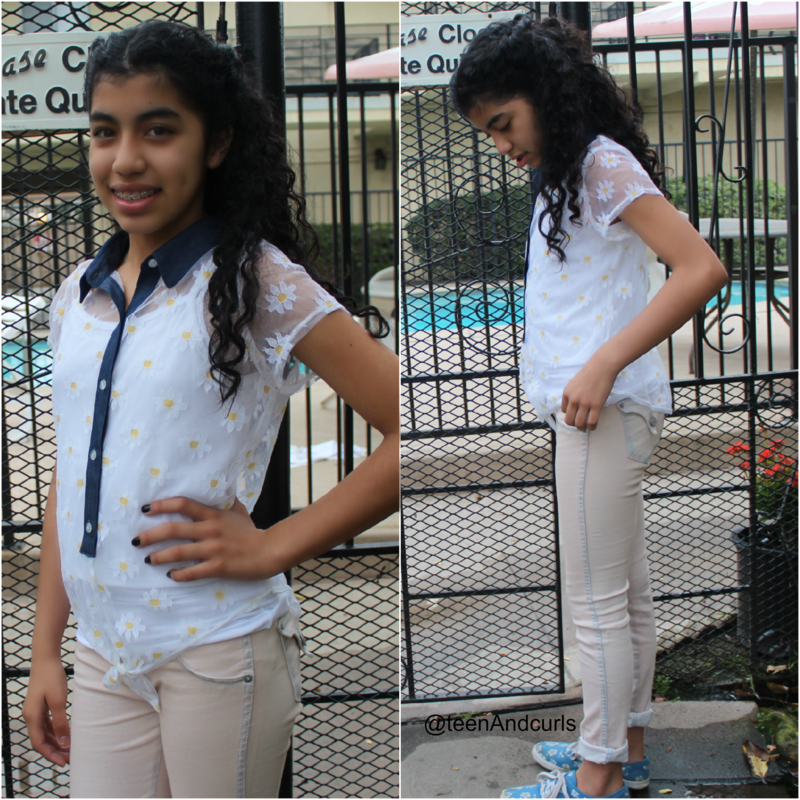 Today, I have a special post for you guys that I had so much fun with and I hope you guys will try it and have as much fun as I did. The special post is……. 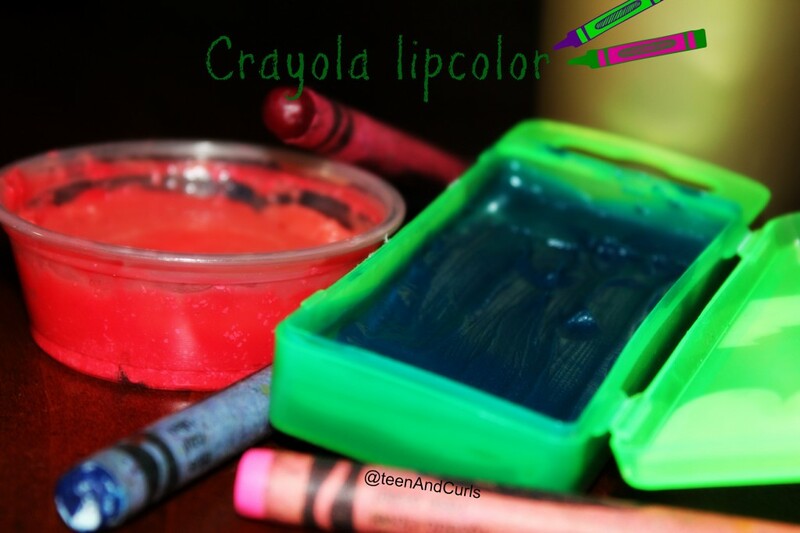 *drum roll please*…….. DIY Crayon lipsticks!!!!! That’s right, you heard correctly, Crayon lipsticks!! 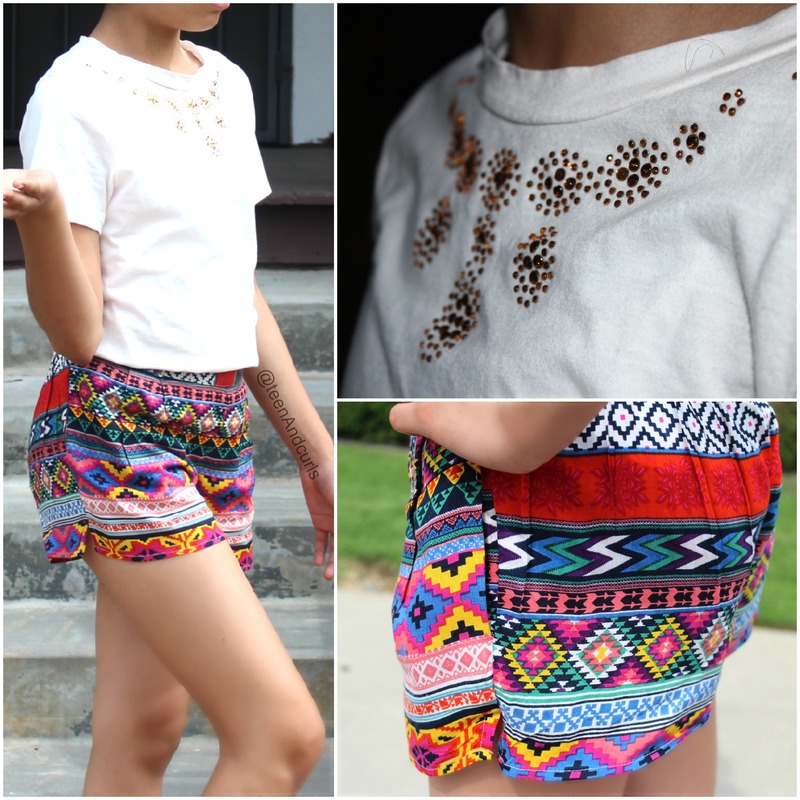 This diy “project” is super easy and fun to do with friends, or just yourself to try something new. 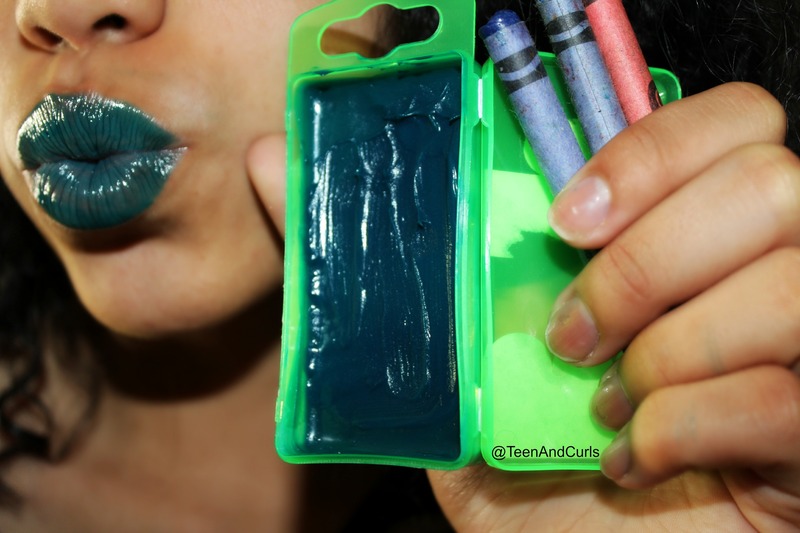 This “project” is perfectly safe mainly for the reason that Crayola is NON-TOXIC… meaning that it’s not dangerous or it won’t damage your skin/lips in any way, shape, or form. Hey guys! So, today I have a special “magic” scrub review that works wonders to eliminate acne! I mean who wants acne everywhere on their face? I know I don’t…. 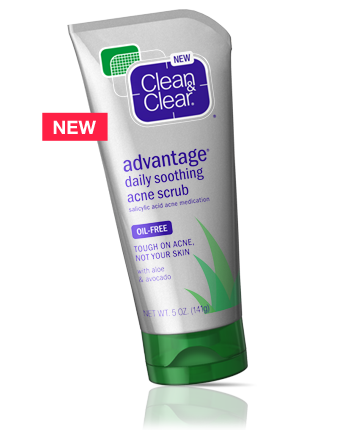 Well, this wonderful product is called Clean & Clear daily soothing acne scrub. This product is absolutely AMAZING and will make your acne (yuck) disappear in just a few days. A reason to love this product is first because it contains Salicylic Acid. If you’ve got acne, Salicylic Acid can be a life saver (or as I would call it, my bff <3). It’s almost like and acne “medicine” to help clear skin of acne and prevent serious breakouts. Another fantabulous reason to love this product is Aloe & Avocado. The soothing formula along with Aloe and Avocado equals a product that is gentle on skin. 1. Start with clean hands. (make sure that your hands are clean or else you can spread germs to your face, making it worse) use those clean hands to splash water on your face. 3. Rinse thoroughly. Pat your fabulous, beautiful face with a dry towel. P.S. and just in case you missed my first video… Here it is!! !